Don’t get frazzled — we’re here for you. We rounded up Philadelphia’s top wedding specialists to give you insider tips that are on trend, with real advice to help you decide what to do and what not to worry about, so you can focus on a wedding that will be the talk of the town for years to come. White is no longer mandatory. Subtle colors like blush and champagne are trending and give gowns a vintage feel. The minimalist bride may choose a gown whose silhouette, draping and unique details are the stars. Necklines are changing this season to show more shoulder. Nontraditional brides are choosing short dresses and jumpsuits. Keep it short, 30 seconds to one minute, and speak slowly. Write it out ahead of time, and practice speaking in front of a friend, to give you feedback on delivery. When compiling the guest list, think about people as part of groups. If you invite one person from the group, you must invite everyone to avoid hurt feelings, since invitees are likely to talk about the coming wedding. Ask yourself: am I going to invite my second cousins, or just first cousins? My sorority friends or not? People from work? That’s the best way to manage it. For a fresh look all day, keep a sharp lip liner close. This will be your best friend. Not only does it literally resize and reshape your lips, but you can also use it as a stencil to make your lipstick last longer. Modernize your look with a matte texture lipstick. One decor trend is bringing the outdoors in, with lots of festoon lighting, greenery and garlands evoking a “Midsummer Night’s Dream” feel. Couples are choosing healthier, clean food over heavily fried or foods with thick gravies. Caterers may be open to customizing menus, too, especially if you have a favorite recipe. For a pre-dinner cocktail, consider a pre-batched drink. Measure and dilute all ingredients, pour in clear serving bottles and place on a serving tray with glasses for individual servings. Also, if budget is a concern, open bars are unnecessary. All you really need is beer, wine, and Champagne or prosecco. Engagement sessions are critical to memorable wedding photographs since they can help couples relax around the photographer. Many photographers like to shoot at the couple’s favorite places. “We do things that make clients feel comfortable. That way they can ignore the camera,” many of them said. Avoid heartaches and headaches by not buying it online. “You want to touch the fabric to make sure you’re getting what you actually pay for. You can’t return a dress online, like you can for shoes,” said our wedding specialists. Make sure to ask for the maximum guest count for a seated dinner, if you want to have a formal sit-down reception. If you plan to have a band, make sure to ask for space for a dance floor, and the band space or stage space, as well. So many times this is not included in creating maximum guest counts and floor plans. To avoid dress-disappointment, don’t try on a dress outside of your budget. Some florists said they do a lot of sculpted and architectural flower designs for weddings. These are simple designs using two or three elements, such as bowl made of branches on the table with a perfect ball of white flowers in it or upon it. Look at photographs from a full wedding day, and not just a few photos on the photographer’s website or Instagram page. 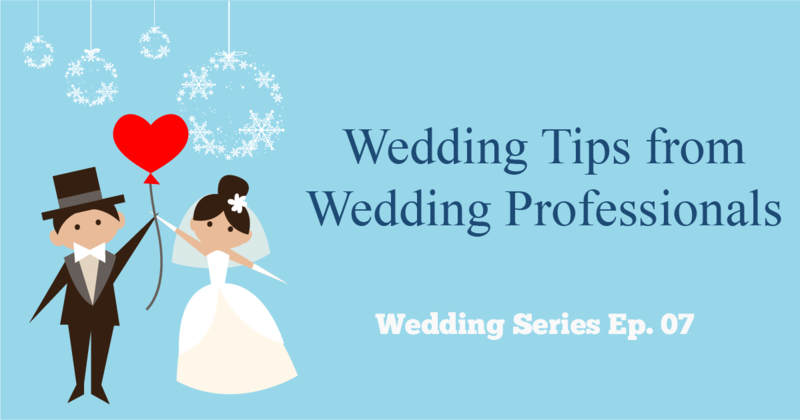 “If you’re doing a ballroom wedding, you’re not going to hire someone who only shoots barn weddings. You need someone with the experience to do the wedding from start to finish,” said our wedding specialists. If your dream venue is a little out of your price range, ask about offseason rates, budget menus or other ways to manage costs. Be savvy and ask. The worst they can say is no. Have a wedding website, but still send paper invites. Thick or unusually shaped invites can cost more money to mail. Timeless style with soft romantic edges is growing popular, and it avoids eventually dating the design. Achieve that look by using lush, monochromatic flowers and adding accents like textured linens or plates. Finish it with an accessory like a tall vase. Philadelphia-themed cakes featuring the skyline are always popular, and this year monograms and sugared flowers are trending, including flowers to match the bride’s dress or bouquet.